You know that driving is one of the most dangerous things you do daily. So, when was the last time you brushed up on your car safety knowledge? 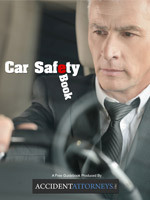 Download our free car safety guide today and be sure to share with new drivers! Car seats aren’t generally complicated but they do require some important steps. 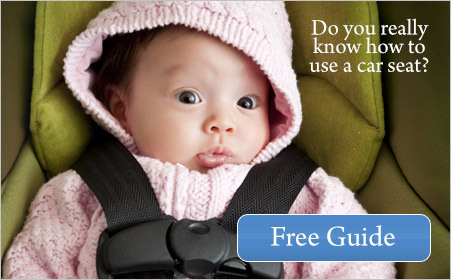 Do you know how to safely place your child into one? 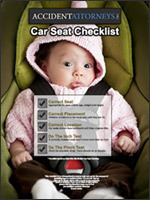 Use our simple Car Seat Checklist before your next car ride. Major events like the Super Bowl, Olympics, and World Cup will draw large crowds. 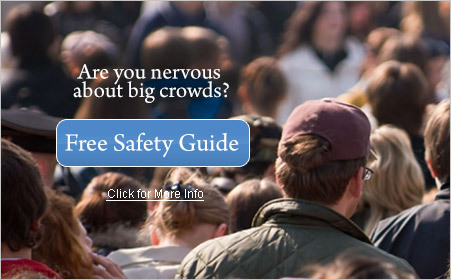 But do you know how to stay safe in a large group? 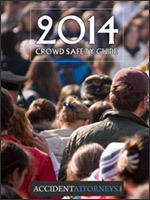 Our Crowd Safety Guide includes helpful information about traveling with children, tips for traveling abroad, a printable safety checklist and more. Are You Sure He’s All Bark? There is no better time than the present to enjoy the outdoors or adopt a furry friend. 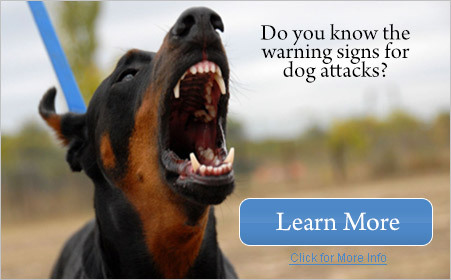 But dog attacks are real. 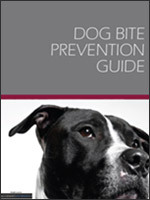 Take a few moments to review our Dog Bite Safety Guide and protect yourself and your loved ones. Are You Ready to Talk to Your Parents? The problems with driving as we age, is that we often can’t tell when it’s no longer safe. While our bodies slow down, traffic seems to speed up. Will you know the signs? 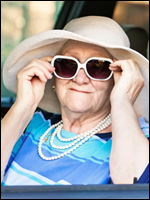 Download our free Elder Driver ~ License Checklist and keep your parents safe. In times like these, you can’t be to careful when going online. 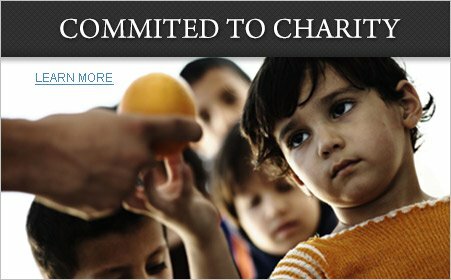 Children are especially vulnerable. 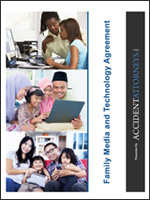 A family media and technology agreement may be the answer. Each family has unique needs. There is no one right way, but there are a few things that should be standard for all families, such as keeping personal information private. Fireworks have long been a tradition when celebrating. 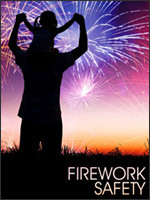 It may be a 4th of July BBQ or a New Years bash, fireworks can be fun. They can also be dangerous. Nearly 10,000 people will suffer injuries severe enough to send them to the ER this year. You don’t have to be one of them. Oh, to be a kid again. Running around on the playground, making friends, enjoying new adventures…if only life were that simple. 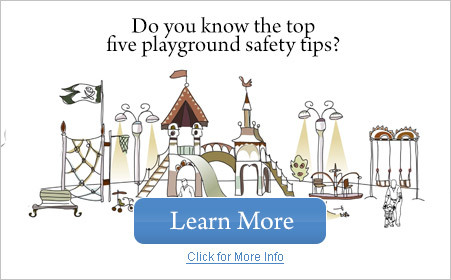 The reality is that playgrounds can be dangerous. 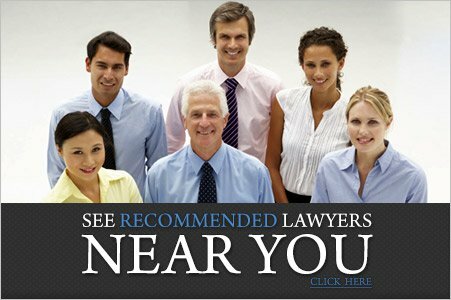 Worn equipment, sharp edges, and hard surfaces can cause serious injuries. 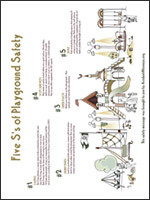 AccidentAttorneys.org has created an easy-to-use Five S’s of Playground Safety to help keep your loved ones safe. Head injuries aren’t something you mess with. 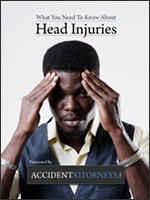 Traumatic brain injury is a serious problem and requires serious attention. 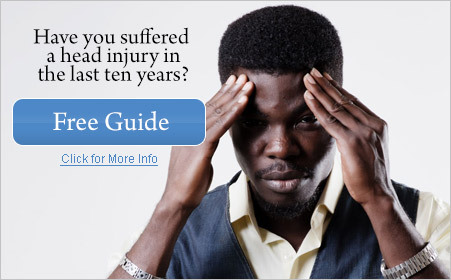 If you suffer from head injury symptoms, or know someone else who does, don’t pass this by. 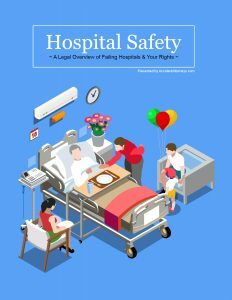 Our free Hospital Safety eBook was created to help you and your loved ones become more aware of basic hospital safety. While hospitals have always been a place to turn to for medical care, not all hospitals are the same. 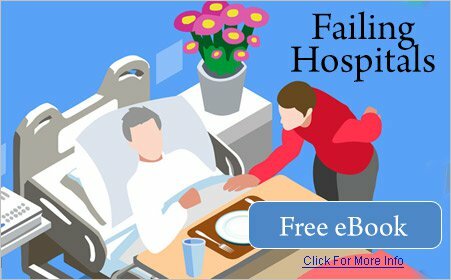 Many hospitals are failing their patients. Know what you’re getting into. 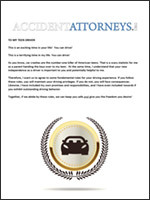 Do You Know How to Act After an Accident? Accidents happen. 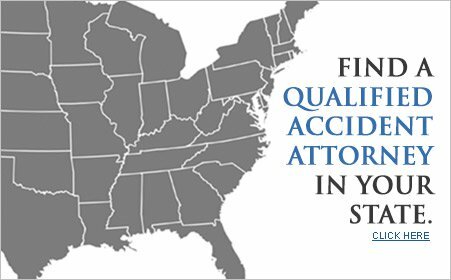 What you do after an accident can make the difference between life and death. Play it safe with this easy-to-use safety guide. 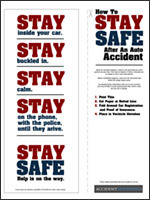 Simply print, cut, fold around your car registration and proof of insurance, and keep in your glove box. 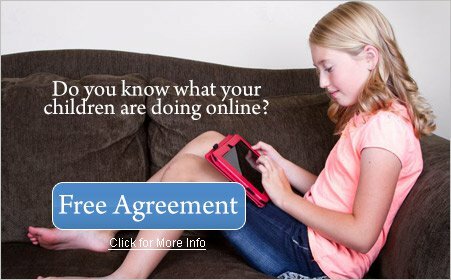 Our Parent-Teen Driving Agreement is designed to start to a conversation with your child. And it’s unique in an important way — all of the other driving contracts we reviewed called for clear consequences if a driving rule was broken, but none offered rewards. We think teens (all children, actually) should be rewarded for good behavior. You’re busy. You’ve got a million things to pack and prepare for. 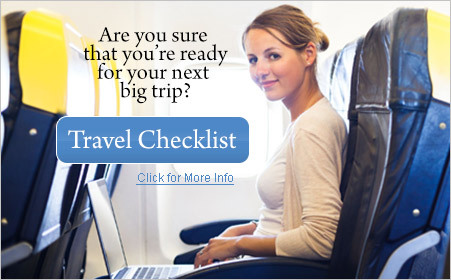 But have you thought about your safety while traveling? 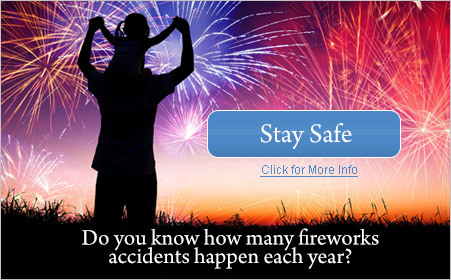 What about the safety of your family? 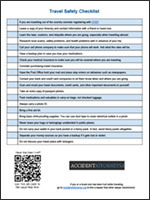 The AccidentAttorneys.org Travel Safety Checklist covers everything from traveling outside of the country to where to keep your wallet. Make sure you arrive safely to your next destination.